It's mind blowing that we are a week from Christmas Eve. Today is also 3 weeks from runDisney Marathon weekend kicking off. I'm very excited for 2016 Marathon weekend. For the first time EVER, I will go into this weekend not stressed out. This year - I am "only doing the half" and my best friend Keri and I leave instantly after the race to go on a week long post race cruise! 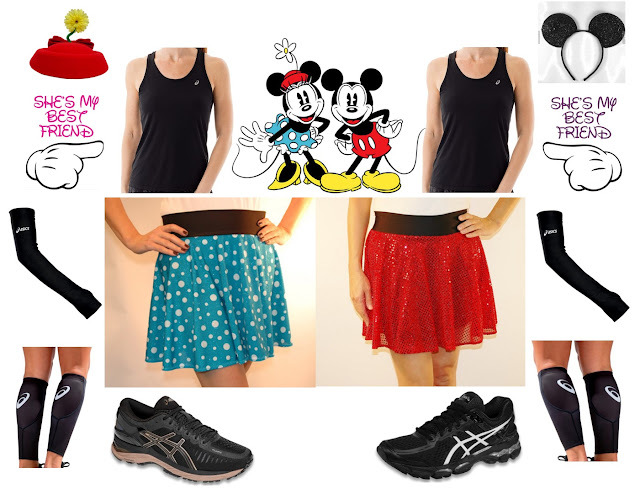 Keri and I don't go overboard dressing up for races but always want to be Disney festive! Here is our outfit reveal for the 2016 Walt Disney World Half Marathon. Have you ever dressed up for races before? If so, what is the craziest thing you were? LOVE! I'm not revealing mine until we get a little closer...plus it hasn't come in the mail yet!